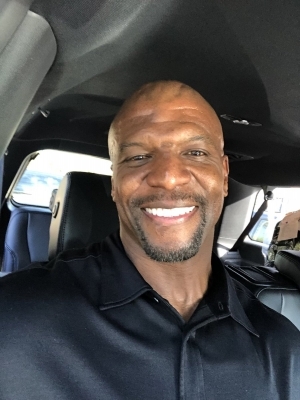 Los Angeles Sep 16 (IANS) Actor Terry Crews said he has accepted WME agent Adam Venits apology. Crews tweeted a letter he received from the former WME agent earlier this year reports variety.com. The "Brooklyn Nine-Nine" actor accused Venit of groping him at a Hollywood party in 2016 and filed a police report last November. Crews wrote on Twitter that he got Venit s letter in March and accepted the apology on September 10 now that Venit has left the agency. Venit did not directly admit to Crews allegations in the note but wrote "I know that you didn t ask for any of this. Again I take responsibility for us being here now together in this situation. I am sorry for all of it." "I want to use this moment to be a positive influence with you and not just another Hollywood story that becomes the narrative of who we both are. We both are so much more and have so much more to offer " Venit continued. "I even hope that someday we can come together and go forward with compassion and understanding and be an amazing force for positivity and change in our culture." Venit is leaving WME less than a year after stepping down as the head of the company s motion picture department due to the sexual assault accusation waged by Crews his former client. Venit was suspended for 30 days while the agency investigated the claims and was eventually cleared of charges. Crews filed a lawsuit which is now in the process of being settled. Charges against Venit were also dismissed.